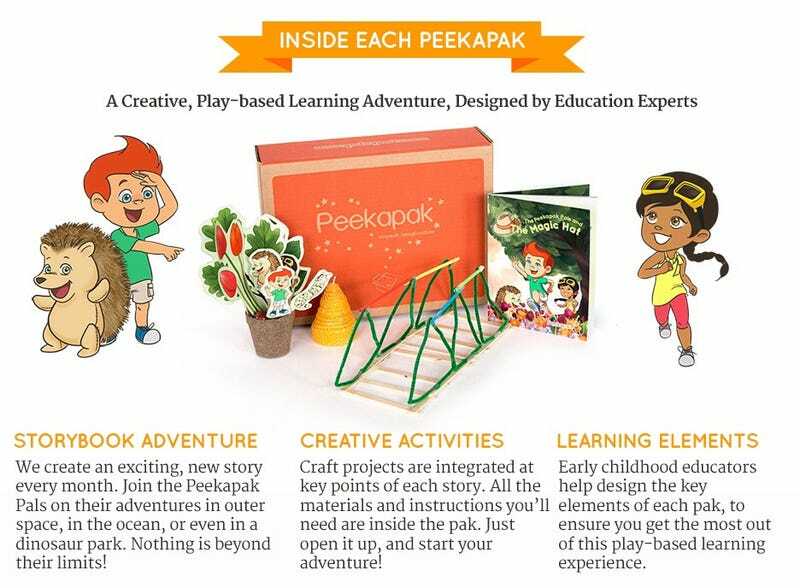 I just came across this interesting monthly-play based subscription called Peekapak. It includes a monthly book, and a number of activities for children ages 3 to 8 developed by Early Childhood Educators. I thought that folks around here might be interested in that it looks like it could be an alternative to GoldieBlox, in that there are a variety of maker activities, and it has a non-white girl (and a boy) as a lead character. The downside is, it's $240 for a year's subscription.